Volunteering in Nepal - An impactful experience combined with a unique cultural experience! Nestled among the peaks of the Himalayas, Nepal’s stunning natural beauty has attracted tourists from all over the world. However, some travelers may desire more than just a mountain trekking experience or a simple short vacation in the tourist mainstays. For those looking to get off the tourist path and see a different view of life in Nepal, then volunteering may be perfect for you! Why volunteer? As a volunteer, you will encounter many situations and learn many things that would never be accessible to the common tourist in Nepal. Volunteer placements will allow you to work closely to the locals and show you what life as a true Nepali is really like. Additionally, volunteers will be placed in home stays to experience the culture, traditions and food first hand. The cultural exchange doesn’t just go one way! The Nepali will appreciate the chance to practice language and communication skills and treasure the exposure to foreign ideas and inspiration. 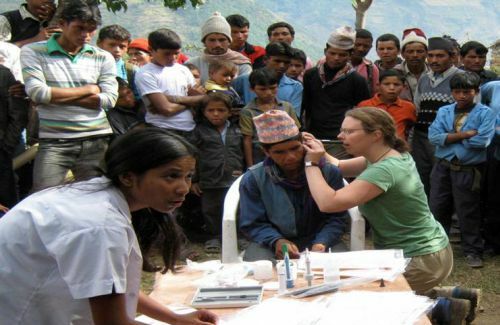 Many locals can be inspired by volunteers - whether it is inspired to work harder to see the foreign lands volunteers speak of or inspired to work smarter by the novel and entrepreneurial ideas volunteers can share - Nepalese will appreciate the cultural exchange from your side as well. Nepal is a developing country that is just emerging from decades of political strife and civil war. The country, which has recently passed a democratic constitution, is at a critical point in development and any help would be greatly impactful and integral in the shaping of this country into a self sustaining, peaceful, modern country. Tourism is indeed a large part of the country’s economy - as a volunteer, you will be more than just a trekker that came, saw, and left. You will truly touch the lives of the locals though volunteering and contribute to sustainable development even after you have left. Himkala Adventure will work closely with you to ensure that your skills and interests are taken into consideration before presenting you with several volunteer placement options. From working with the artisan community in Kathmandu, teaching children in Buddhist temples, or helping to rebuild schools in the Nepali countryside, there are many different options available. 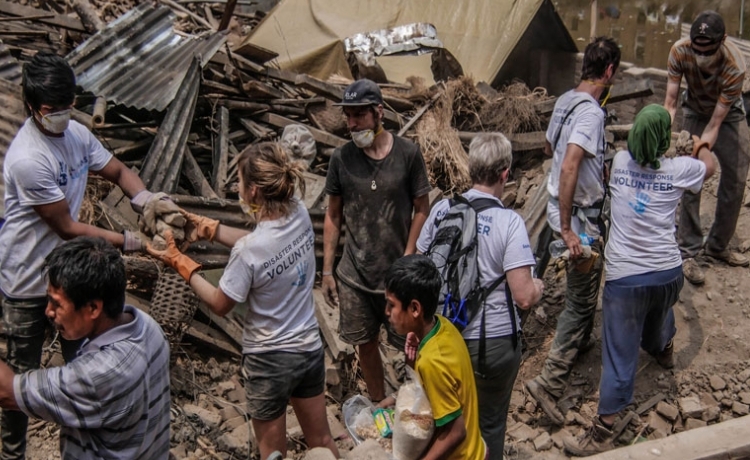 Volunteering with Nepal is an experience that will stay with you and the locals you encounter for life and Himkala Adventure would be honored to be the bridge that connects cultures and ideas to bring about social change.